Charities have paid tribute to the author Sir Terry Pratchett, who has died aged 66.The Discworld author, who was diagnosed with early onset Alzheimer’s disease in 2007, died at his home today, his publishers announced. Alzheimer’s Research UK, of which Pratchett was a patron, said the legacy he left to dementia research was huge. "The loss of Sir Terry Pratchett will have a profound effect on both literature and the 850,000 people who live with dementia," said Hilary Evans, the charity’s director. "Sir Terry’s uniquely witty and affecting announcement of his diagnosis with Alzheimer’s at our 2008 conference will be seen as a watershed moment for all people living with dementia. "It engendered huge public awareness of Alzheimer’s and issued a call to arms for society to talk about dementia and take steps towards defeating it." The charity received a donation of $1m from Pratchett in 2008 – given in dollars because, in Pratchett’s words, "it sounds larger than half a million pounds". 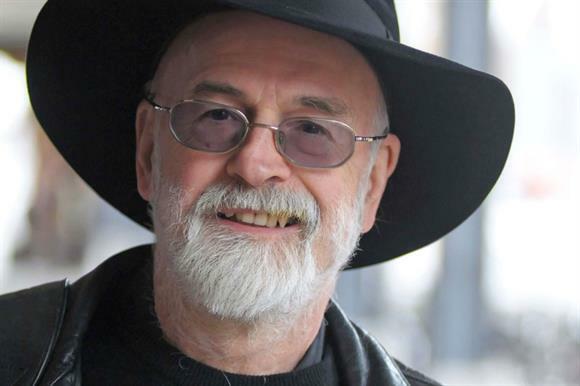 Pratchett was voted Celebrity Charity Champion by Third Sector readers in 2011. Jeremy Hughes, chief executive of the Alzheimer’s Society, which Pratchett had also actively supported, paid tribute to his campaigning attributes. "Sir Terry Pratchett fundamentally changed the way dementia is seen and understood," he said. "He was the most passionate of campaigners to bring change; his vehement determination to reduce the stigma of dementia meant he helped to drag it out of the shadows – kicking and screaming at times. "During the many times Terry supported the Alzheimer’s Society, publicly and privately, I was struck by his passion, resilience and courage to fight and kill the demon of dementia. When thanked for his work, he’d simply smile and shake his head modestly, insisting it was nothing. Never dwelling on his own dementia, he used his voice to shout out for others when they could not." Andrew Copson, chief executive of the British Humanist Association, another charity Pratchett had actively supported, said: "Terry was a great humanist and stalwart supporter of our work for a fairer society. He will be missed by all of us who worked with him on the causes he cared about and our thoughts are with his family and friends at this time. "We at the BHA continue to be grateful for all his tireless support, a gratitude we share with all those he reached through his stories and to whom he gave hope through his campaigning."